Many Bedford residence travel under this railroad bridge located on Bedford Avenue in the Town. At the request of the Town of Bedford Police Department requested Company 1 to respond for a truck stuck under the bridge. Rescue 1 with six (6) arrived to find a large box truck wedged under the bridge with a train stopped just above. The driver and passenger of the truck were not injured but could not get the truck free after removing the majority of the air from the trucks tires. 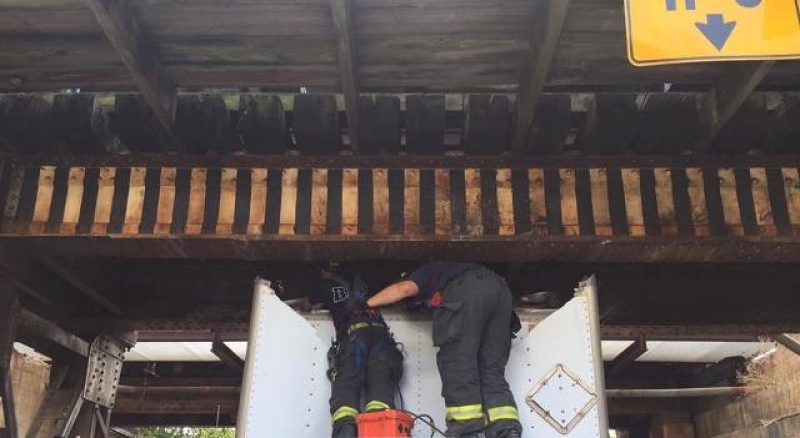 Rescue 1 personnel used a reciprocating saw to cut a portion of the trucks roof that had become wedged under the bridge. 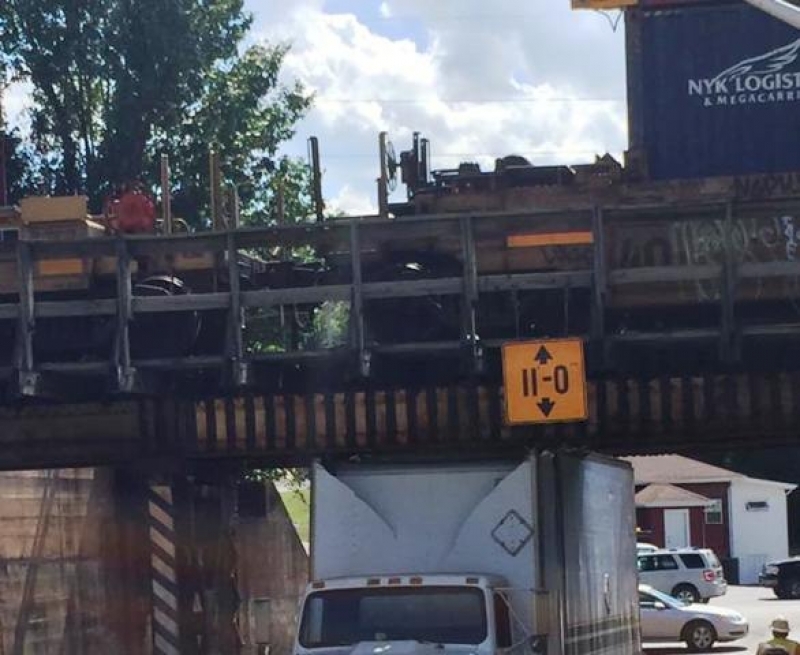 Once the truck was free inspectors gave the all clear to structural integrity of the bridge.